What Off-Season Activites Do You Do? Now that the cross season is winding down, what are most of you guys doing to keep fit with snow right around the corner? 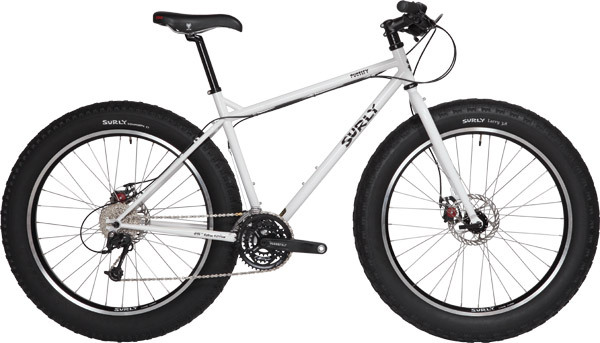 It would be nice to have something like a Surly Pugsley, and just be able to float on top of the snow and still pedal. As much fun as this would be, being on the bike year round can possibly be a deal breaker, and potentially lower your interest for riding midway through your next season. Who has time to start a new off season hobby though? Cycling is expensive enough, what is it like trying to pick up a second sport that helps with the cardio aspect during the winter? I’m tempted to get a pair of skis, and while I’m hoping it isn’t that expensive, I still know it is going to cost more than a pair of running shoes. But, you say, you’re a cyclist, and you’ve made the choice to focus on the sport you love. That’s great, but more well-rounded fitness gives you more options for activities and adventures and won’t take anything away from your abilities on the bike. I live at the foot of Pikes Peak, and I know cyclists who have lived here for a decade yet have not experienced the sense of accomplishment and wonder that comes from hiking to the summit. It’s not a particularly difficult climb; in fact, it is conquered every year by thousands of out-of-shape tourists. But it’s a nearly impossible challenge for highly specialized cyclists because the 13-mile trail is too hard on their feet and hips, and they struggle under the weight of packs if they choose to turn the adventure into a 2-day camping trip. 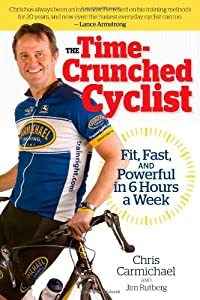 I’m all for maximizing sport-specific performance, but unless you’re making a living as a cyclist, I also believe that the benefits of nonspecific fitness are worth pursuing. Okay readers, tell me what you are going to do this off-season, and for what duration/intensity? Contact Michelin Now For Green Cross Tires! Snow Chains / Tire Chains For Your Bicycle! Does "No Trespassing" Really Mean NO TRESPASSING? Bonecrusher on Props to Excel Sports!